Cape Cloth — Cape Cloth Getting Even MORE Socially Conscious. 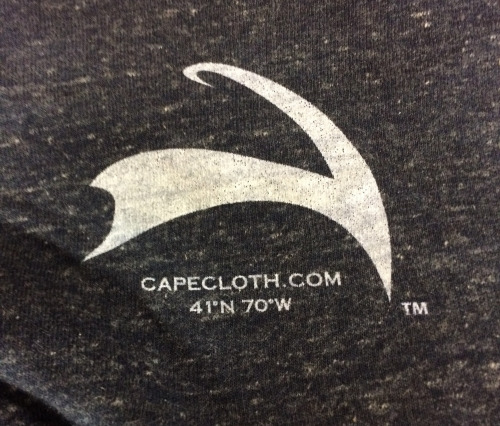 Cape Cloth Getting Even MORE Socially Conscious. It's Earth Day. 24 hours dedicated to honor the Earth and the concept of peace. Some quick history: John McConnell proposed the idea of Earth Day in 1969 to originally be celebrated on March 21, the first day of Spring, but McConnell's 1970 proclamation was hijacked by US Senator Gaylord Nelson, who founded a separate Earth Day, as an environmental teach-in, on April 22nd that same year. In 1990, Earth Day was recognized globally, with 141 countries organizing events. So out of the 24 hours devoted to the Earth on whichever date you choose to recognize, let's assume the average human is awake for 16 of them. That person works for at least eight of those waking hours (if they're lucky, it's probably a lot more). Eight hours of Earth Day. Wow! The bottom line is the other 364 days. Beyond donating a dollar of every clothing purchase to CapeAbilities, I'm proud to announce that all Cape Cloth packaging is made of recycled and reusable products! From the tissue paper it's wrapped in, to the bags and boxes it's packaged in, Cape Cloth products are socially conscious in all aspects, 365 days a year. Speaking of products, there are some new ones coming. It took months of research and testing, but you're patience will be rewarded at some upcoming events. Premium long-staple fibers, spun at sustainable yarn facilities that use eco-friendly, low-impact, fiber reactive dyes and recycle their own water. All right here in the USA! All that...with an unsurpassed, broken-in softness and signature Cape Cloth style. I think John McConnell would be proud. An environmentally-friendly product, in environmentally-friendly packaging, promoting peace on Cape Cod by teaming with local businesses and giving back to local causes. All 365 days a year. Imagine that? CCYP After-Hours Connect in Dennis on Thursday Night!